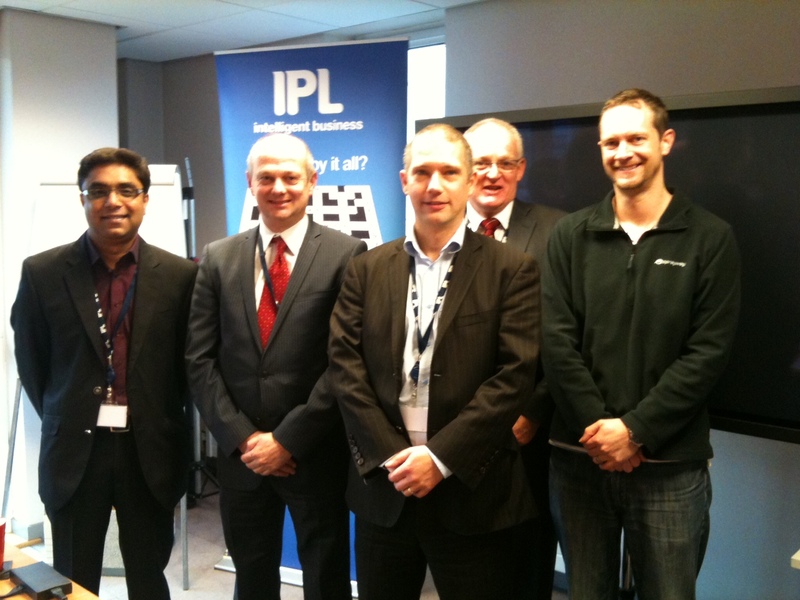 The UK has eight new Certified Data Management Professionals! 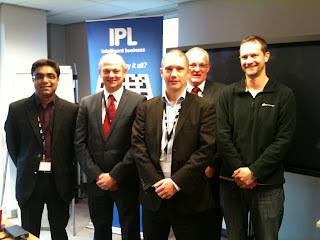 Two CDMP Bootcamps were held in Bath this year, led by Chris Bradley (tucked away at the back of the photos). 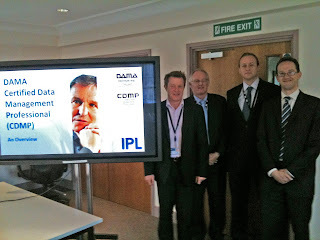 The first of the UK CDMP bootcamp classes was held on the 12 & 13 of October 2011). Three attendees were Mr. Chris Daniels, James Adman & Trevor Hodges. 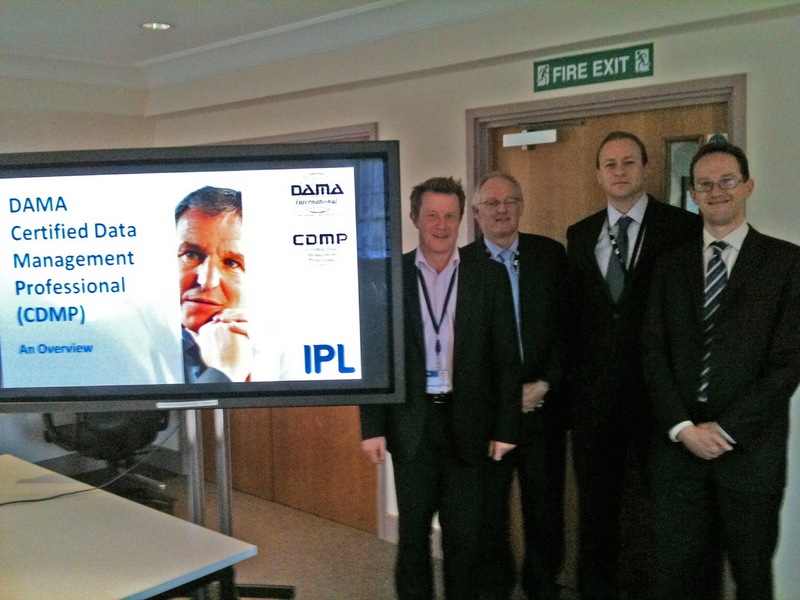 All 3 took the Data Warehousing specialist subject exam, and all 3 have passed their CDMP. James & Chris at Master level, Trevor at Practitioner level, only missing on the DM core by 1%. Five more passed the CDMP exams at the bootcamp held on the 22 - 24 of November. Three of whom passed at “Master” level. Congratulations to the new certified folks!